Hotel Jai Palace welcomes travellers to a warm and comfortable property in the city of Jaipur. The rooms offered by this establishment are really spacious and have been designed and decorated very thoughtfully. The rooms are well-furnished and the wise usage of lights throughout the room makes them well-lit. The rooms have been painted in monochromatic hues and this enhances the overall homely ambience. 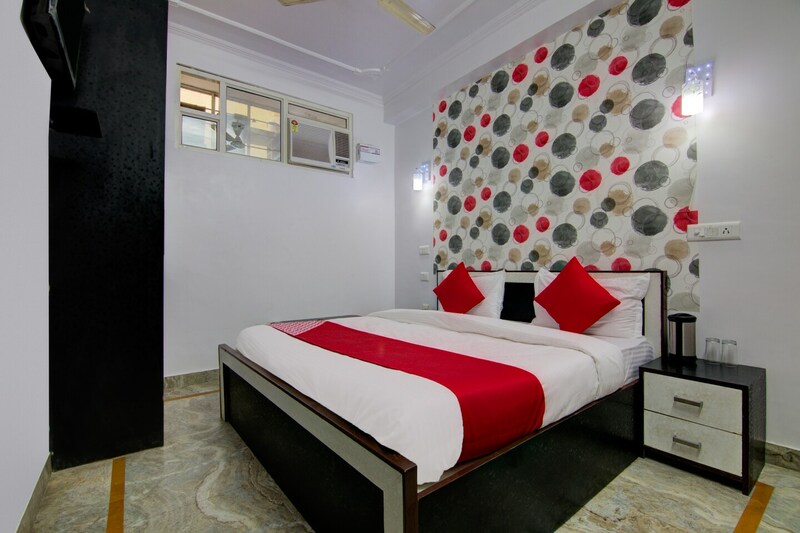 The hotel offers a number of basic amenities like free Wifi, an uninterrupted power backup supply, parking provisions, card payment in all forms and CCTV cameras. The in-house facilities include a restaurant, and a common dining area. The front desk service of the hotel can be easily located and is handled by experienced staff. The reception is located close to the front desk service and is well-furnished with a plush sofa set.